作者: Radwa Ashraf on 15 May , 2013. 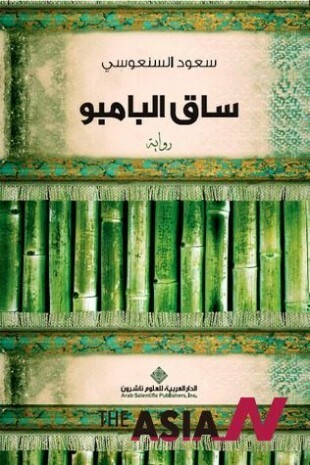 “The Bamboo Stick” is a novel by Kuwaiti writer Saud Al-Sanousi, which recently won the Booker prize for Arabic novels. It shows the story of Eissa or José, whose mother is Filipino while his father is Kuwaiti, and his struggle in adapting to both societies as neither accepted him. In Philippines, they call him “Arabo” in refer to his Arabic origins, while Arabs call him “Filipino” because of his looks. The novel goes through six phases of José’s life. It starts with Eissa or José telling the story of his life as he goes through the stories told by his mother. She told him stories of her, her father and sister, and their struggles that eventually led to her fleeing to Kuwait to work there as a maid. He starts retelling his mother’s stories of her love to Rashed Al-Tarouf, the intellectual Kuwaiti man, and how they suffered in Kuwait after getting married and her getting pregnant. She told him when he was born; they had to go back for the Philippines. This part is like a preface to the whole novel, and though being made completely of Josephine, José’s mother stories, it’s not boring or uninteresting. The characters are varied and different, whether was it the gambling father, Eida who was forced to do a job she didn’t want and ended up being pregnant, and Josephine who refused this life and decided to go to the gulf where she could ensure a better life. This part is full of emotions, negative and positive altogether. It’s worthy to mention that the writer’s style especially in this part reminded me of Gabriel Garcia Marquez’s style of writing, especially in his novel “100 years of Solitude”. In this part, José loses the closeness of his mother Josephine after she remarries and gives birth to another son. He starts getting closer to his aunt or as he starts to call her “Mama Eida”. He feels the guilt for the first time as a bee buzzing in his ear, and falls in love for the first time with his cousin Merla, whom he realizes that for several reasons he can’t have her. This part is even better, as it introduces several plot points and the conflicting emotions of José and you start feeling his struggle. He doesn’t know to which name does he belong, to Eissa or José? To which country does he belong, to Kuwait or Philippines? To which religion does he belong, Christianity or Islam? The whole “Bamboo” concept starts here, when he start thinking that he resembles a bamboo stick, as the bamboo sticks could grow roots almost anywhere you plant them. He wishes that’s he’d be able to have the same roots. José starts his real life away from his family, as he realized that there’s no one else but himself to depend on. He starts by selling bananas and there he meets a Chinese Buddhist, Chang, who becomes his close friend during that time. He takes him to a Buddhist temple where he feels the same inner peace he felt while visiting the church. He soon leaves his banana-selling job to start working as a Chinese massager, and through this job he comes face to face with the first Kuwaiti people, whom later on become his friends. They become the reason for him intending and wanting to go back to Kuwait, his father’s country, more than ever. One of the shocking characters is José’s grandfather, Menduza, whose characteristics aren’t really revealed until he’s dead. José starts his life in his grandmother’s Ghanema house and he starts knowing the family members, while some accepted him among them, others didn’t. He starts knowing more about himself, and knowing more about Islam too. He starts his life in Kuwait in Ghasan’s house, his father’s friend who took it upon him to bring José to Kuwait, acting on his father’s will. Eventually, his grandmother accepts that he’d come and live in the family house on the condition that he’d stay there as their newest servant. His relationship with his grandmother and Khawla, his step-sister, starts to improve, but in the Kuwaiti society where a word could smear a family’s reputation, it was impossible for them to actually acknowledge him as part of the family. This part shows more of the Kuwaiti culture and how gossiping have this huge effect on them. It was refreshing to watch José’s adaption to Islamic traditions like Prayers and fasting. José’s circle of friends starts to grow as he leaves his family’s home and starts living by himself and gets a job too. 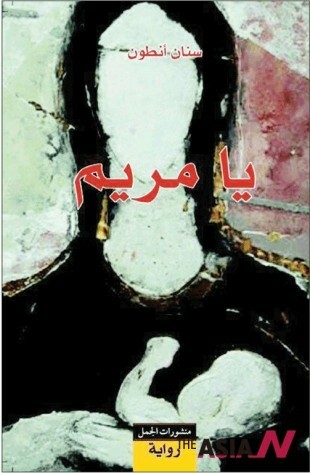 After Khawla’s encouragement José starts to write, he starts to write about Kuwait, and its many faces that he saw. Al Tarouf family’s Kuwait, The Kuwait of his crazy friends, The Kuwait of Ghassan who’s struggling within his country, The Kuwait of him and Khawla, or the Kuwait of the his fellow Filipino. This part also revisits his love story with Merla, and sheds some light on it after I thought that it ended, and it blossoms in an unexpected way. José manages to finish his novel on Kuwait, which he wrote in Filipino and asked his friend Ibrahim Salam to translate it. He wrote about Kuwait, but he didn’t manage to get rid of his dispersion between two nations, it’s as if he’s stuck in-between. I liked the author’s way in presenting both the Kuwaiti and Filipino society, as both has their advantages and disadvantages. Also the writer seemed unbiased and not affected by the fact that he’s Kuwaiti and showed the negatives in the Kuwaiti society. José, the protagonist, is a well-made character who got exposed to hardships a normal person wouldn’t tolerate but he managed to surpass it all. He managed to face what his step-sister Khawla called “Al-Tarouf Curse” in a perfect way, which is writing about them, just like what his father did. “Ave Maria” is a novel by the Iraqi novelist Sinan Anton, and it was on the shortlist for the Booker prize for Arabic novels for 2013. It tells the story of two different Iraqi characters, Youssef and Maha, one living in the past and the other is trying to escape it. We can witness the sectarianism in Iraq during the Kuwait war era and what came after it with American occupation and the terror the citizens witnessed, especially Christians. During the five chapters of the novel you go through two stories, one is told by Youssef, the old man who still sees hope amidst the terror they’re living. The other is told by Maha, the young lady who lost everything dear to her because of sectarianism, that she no longer sees the hope Youssef sees. Youssef, the Iraqi Christian old man, takes us in a tour to his past and sad present in a country suffering from misfortunate events. Whether was it the war’s aftermath which affected all Iraqi people, or how the Christian people are suffering. The style in writing is smooth and calm, and the usage of local dialect adds more realism to the novel. Youssef’s memories pass in front of his eyes when he looks at the pictures wall in one of the rooms of the family house where he still lives even after it became empty of anyone but him. He starts remembering the past and his memories with his family. The book also discusses the sectarianism of another minority, who are the Jewish. The writer manages to put a lot of political details and details of life in Iraq in a nice way, a way that doesn’t seem too forced, it’s a chance to know more of Iraq. The novel is full of details, but it seemed like it would’ve been better if more depth was added to Youssef, just to know more of him. Though a bit traditional, the love story between him and Dalal, the Muslim girl, was the flavor his story needed. We get to know more of older Youssef and how he spends his day, and we get to know his friendship with Sa’don, which lasted for almost 30 years, and the little remark to the difference in religion, Youssef is Christian and Sa’don is Muslim. Also, Youssef’s memories of his late sister Henna are really warm. The story of Maha, another Iraqi character, she is that sad mother who feels strange within her own country and among people who are supposed to be her family. Maha’s story is different from Youssef’s, as Youssef still have that glimpse of hope. But Maha, the young Christian lady, who lost her son, uncle, her house, and her happiness because of sectarianism against Christians, made her give up that hope. The voice of Fairouz and her songs are really suitable for her character, as they made it seem in the novel. This novel is a good way to know more about Christianity. Also her love story with her husband Loai is traditional but sweet. A sad ending fitting the tragic events that this novel represents, this novel makes you rethink of the circumstances that we live, not in Egypt alone but in the whole world, and think in the name of what religion do these people kill? I can imagine this novel as a movie with the music of Fairouz as its soundtrack; it’d be a new type of art reflecting the suffering of a whole religion in a new light.